Both lucky and extremely talented, Annie Oakley used her astonishing marksmanship to escape a poor childhood in Ohio and become the first female superstar in what had been a male-dominated profession. 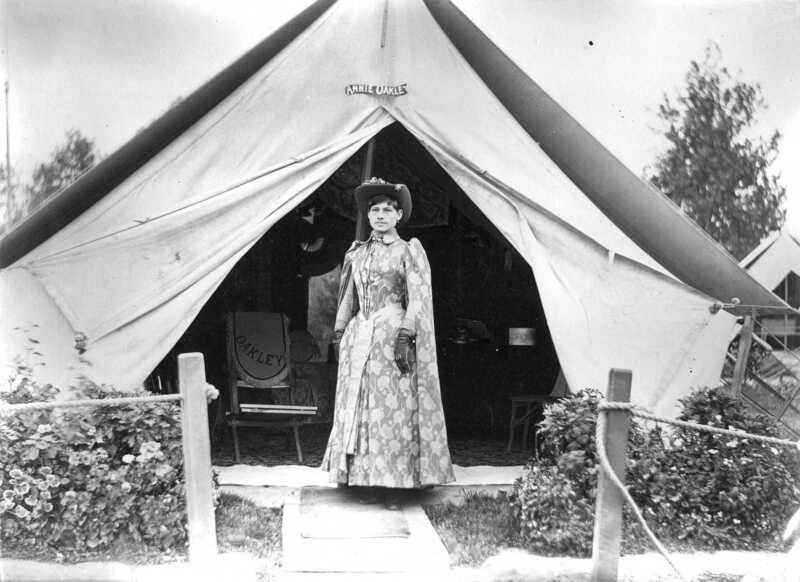 Annie Oakley was born Phoebe Ann Moses in 1860 in rural Darke County, Ohio. Her father died when she was young, and Annie was sent to the county poor farm. At age 10, she was sent to work for a family who treated her cruelly -- she called them "the wolves." Eventually Annie ran away from them and was reunited with her mother. 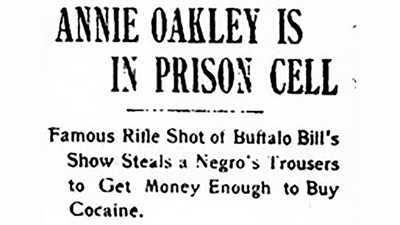 Annie helped support her family by shooting game in the nearby woods and selling it to a local shopkeeper. 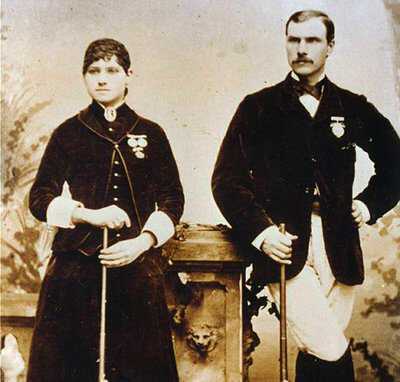 Her marksmanship paid off the mortgage on her mother's house and led her to enter a shooting match with touring champion on Thanksgiving Day 1875. To Butler's astonishment, the 15-year-old beat him in the competition. Butler fell in love with her and they were married the next year. 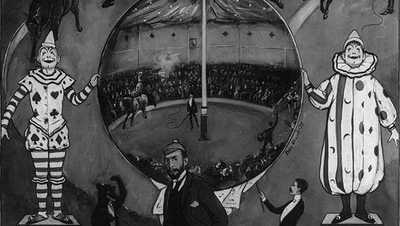 Oakley's career took off when she performed with Buffalo Bill Cody's show at the American Exposition in London in 1887. Oakley met Queen Victoria, who called her a "very clever little girl." She wowed the British papers. Despite her success, a rivalry with a fellow sharpshooter,Lillian Smith, had grown so tense that it led to Oakley's departure from the show at the end of the London engagement. She returned to the theatrical stage and toured with a rival wild west show. 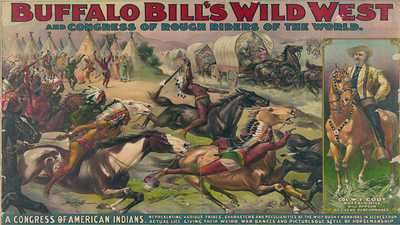 Then when Smith left the Buffalo Bill show, Oakley rejoined Cody in time for a triumphal three-year tour of Europe that began with the 1889 Paris Exposition. By the time it ended, Oakley was America's first female superstar. But she never forgot her roots in poverty -- stories circulated that Oakley was so frugal that she would siphon off lemonade from Cody's pitcher and carry it back to her own tent. "I've made a good deal of money in my time," Oakley said, "but I never believe in wasting a dollar of it." She and Butler gave money to orphan charities, and helped support her mother and his daughters. Oakley earned more than any performer in the show save Cody, but Oakley supplemented her income with shooting competitions on the side. With Oakley's skills — on various occasions she hit 483 of 500, 943 of 1,000, and 4,772 of 5,000 targets — she did quite well on the shooting circuit.